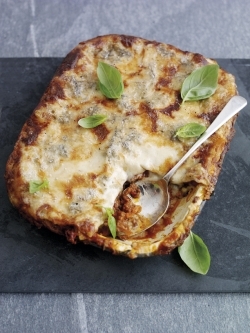 This Gorgonzola lasagne recipe is an Italian classic and perfect for autumnal evenings. The recipe combines delicious Gorgonzola cheese, a product of Protected Designation of Origin (PDO) with West Country Beef, a product of Protected Geographical Indication (PGI). To make the lasagne, simply repeat a layering process with pasta sheets, spinach, beef filling and creamy Gorgonzola sauce. Sprinkle over crumbled Gorgonzola and bake in the oven until bubbling. Top with basil leaves and serve. Buon appetito! Gorgonzola is a completely natural, high quality cheese with an unmistakable aroma and taste and a history which allegedly dates back to the eighth century. 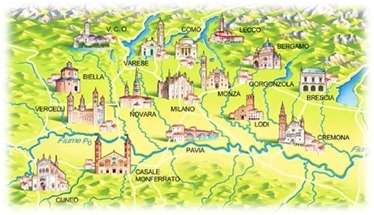 There are currently 30 dairies and over 3,000 farms making Gorgonzola cheese! Only high quality cows’ milk produced in these provinces may be used to make Gorgonzola and to grant the cheese its PDO certification. PDOs are defined and protected by European Union law in order to defend the reputation of regional foods. Gorgonzola has excellent nutritional and antioxidant properties; it is extremely rich in vitamins and minerals such as calcium, iron and phosphorus. It is also a highly versatile product which can be used in a wide range of recipes including appetisers, main courses, and even desserts.